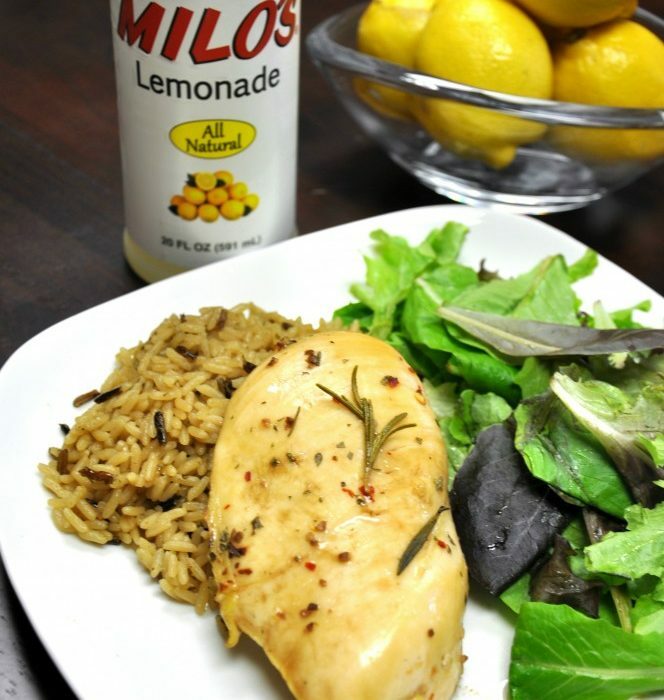 Balsamic Milo's Lemonade Chicken - Milo's Tea Company, Inc.
Pre heat oven to 350ºF. Mix all ingredients except chicken together. Marinate chicken breast for 1 hour. Remove chicken and place in baking dish. Discard remaining marinate. 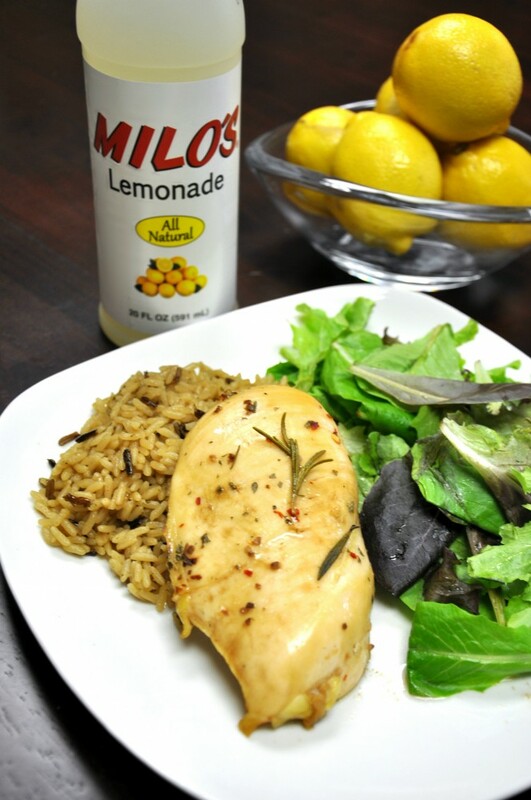 Cook for 55 minutes or until instant read thermometer inserted in chicken reaches 165ºF.